To start with, it was my first day to ride the new bike to work. 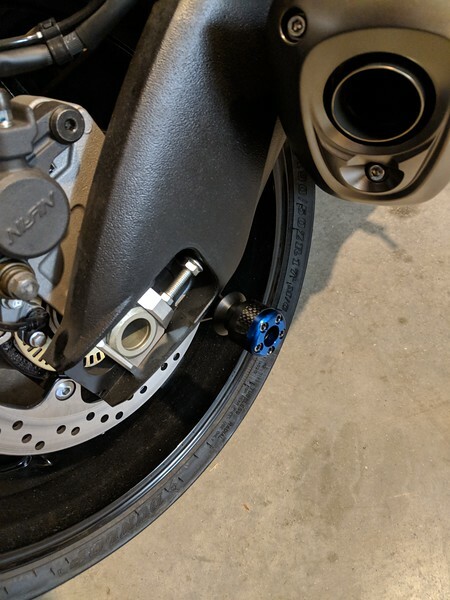 Without things I'm used to with my FJR, namely a windshield, heated grips, and a connector for my electric gear, I had to wait till the temperature was ok for me to ride it in. 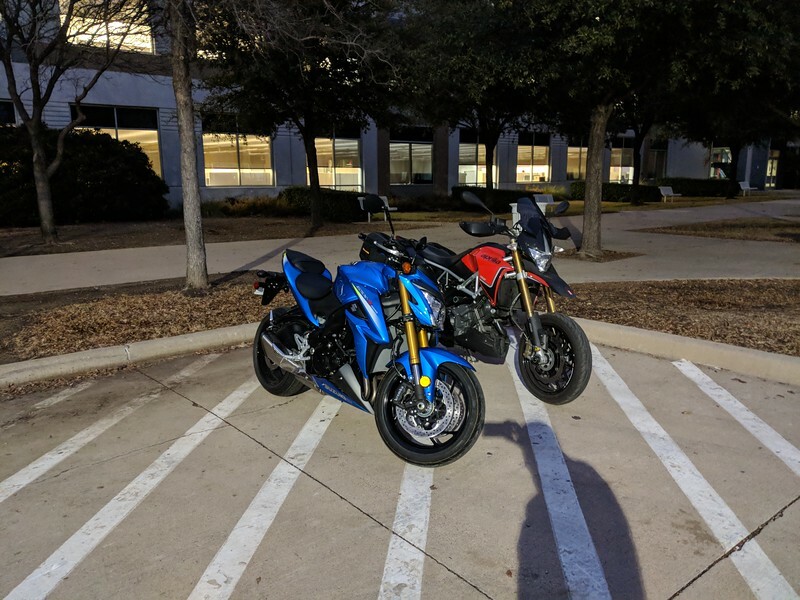 45F this morning, only a couple of bikes in the parking lot this early. Another cruiser showed up later so we had a small turnout. 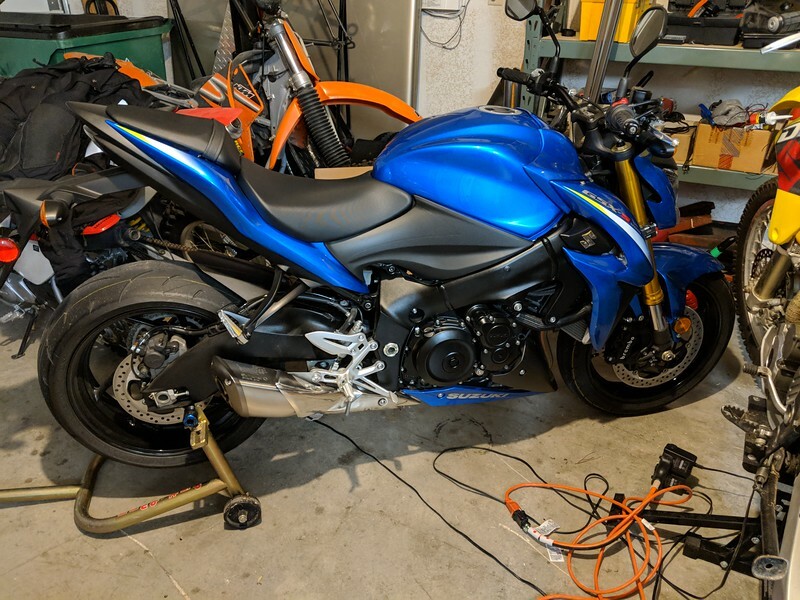 Time to start modifying the GSX-S1000. I did a little ordering over the weekend and some stuff started showing up today. 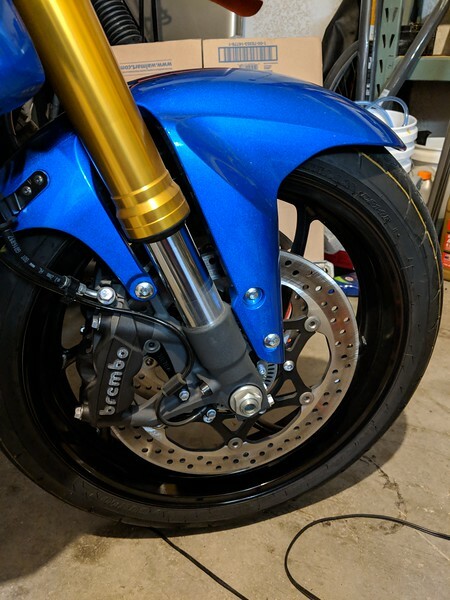 First up, I need swingarm spools. This helps out for tire changing, at the track, and when parking in the garage, upright bikes take up less space. 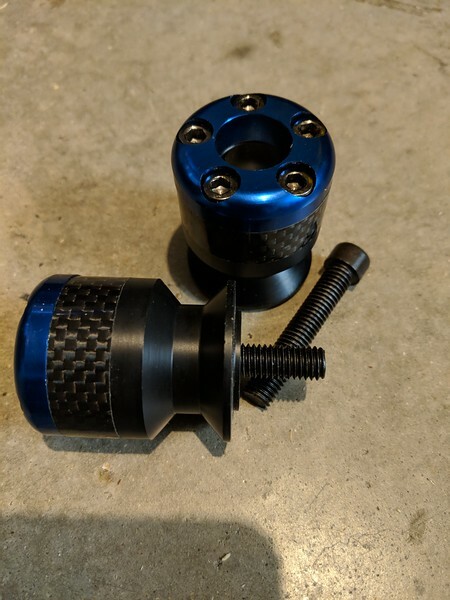 Not sure if I like these but they were on Amazon Prime and in stock and for not a bad price so they provide a quick fix while I see if I like them or if I find something else. All installed and ready to go. 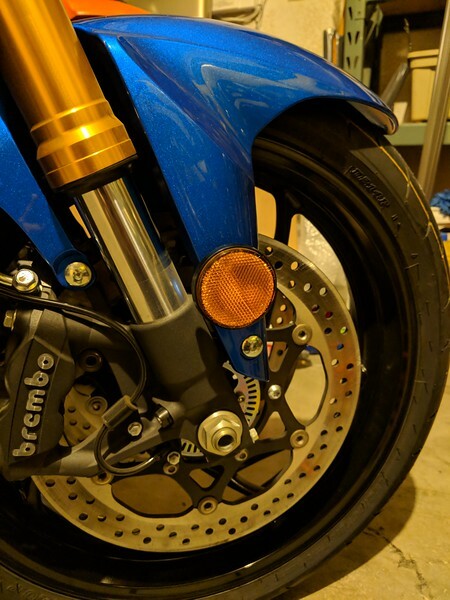 And finally, the bike is properly standing upright on one of my old pit bull stands in the garage. And leaves us with this ugly piece. 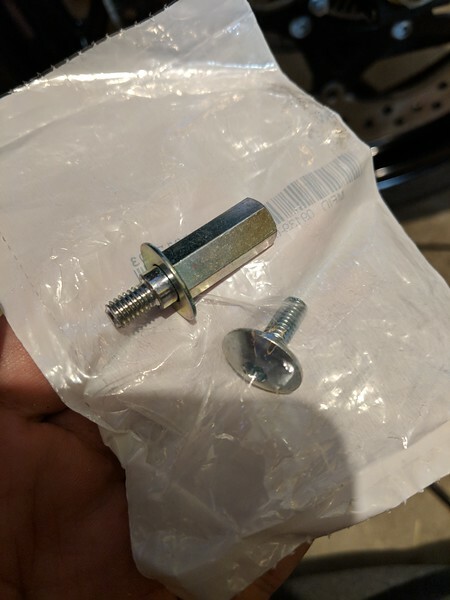 Can't have that and can't have an empty hole, so I ordered a couple of stock fasteners the same as the bottom one. 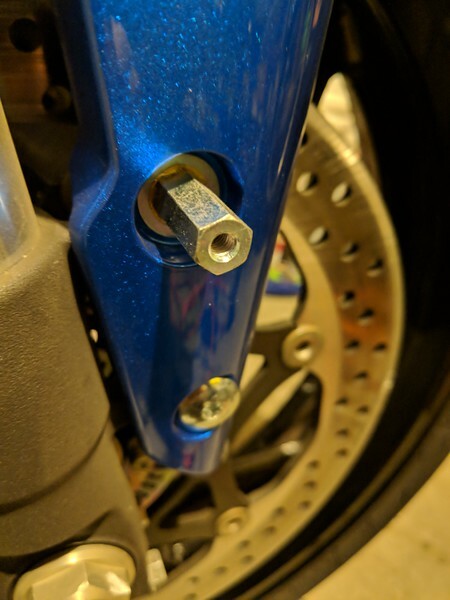 Here's the new fastener and that monstrosity of a reflector holder. And finally, the finished product.